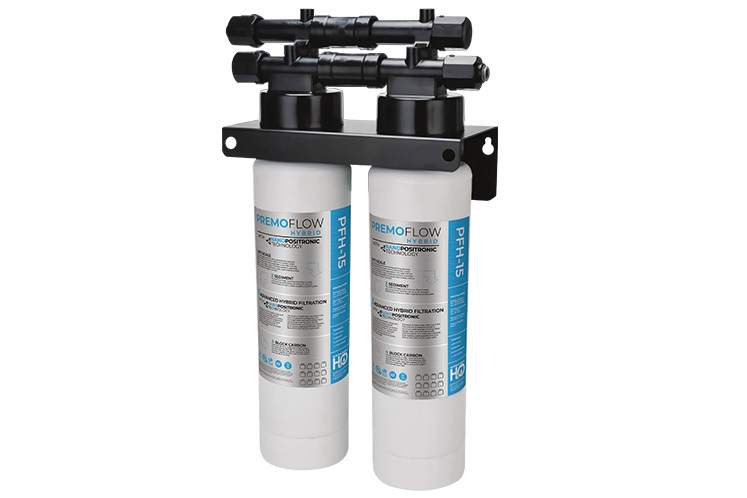 The PFH-15 Premo Flow Commercial Filter is our flagship commercial filter featuring Nano-Positronic Technology. The Advanced Hybrid Filtration Stage, with nano-positronic technology, delivers superb performance developed by cutting edge technology exclusively in association with International H2O, Inc. The Stage utilizes electro positive attraction in conjunction with specialized composite Ultra Filtration Media. The result is crystal clear water that is free from virtually all impurities found in municipal water sources including, heavy metals, lead, cysts, bacteria, viruses, pharmaceutical, and radioactive materials; at an industry leading purification Flow Rate of 3.34 GPM, and produces absolutely zero waste water.